Wonderful Experience with Thomas Cook - A CLASS!!! Wonderful Experience with Thomas Cook – A CLASS!!! I am really happy while sharing our story. This is to confirm about our appreciation to Thomas Cook as well such information could be of good interests to others too. At the very first place we express our full appreciation to Ms Shruti and Thomas Cook too. We, me-my wife and two kids, travelled first time with Thomas Cook. Indeed it is an experience to cherish and more than memorable. In such a quick time having Singapore and Malaysia coverage, we believe is not at all possible without able partner like Thomas Cook. And it goes for real delight only when you have more than professional yet caring tour manager like Ms Shruti Verman. The pre-tour experience was fine. Bookings online with Ms Aasavari Satpute were good. Further visa processing and handing over of accurate tour documents by Ms Sheela at Ahmedabad indeed was very good. But the peak of everything was the way this tour was executed at both the places; Singapore and Malaysia. The Hotel provided in Singapore, The Rendezvous was good. Nearby locality and whole setting is notable. 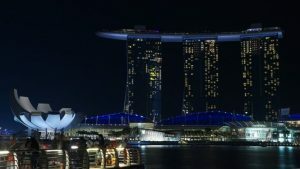 Gardens by the bay and Marina Bay Sands experiences are really memorable. 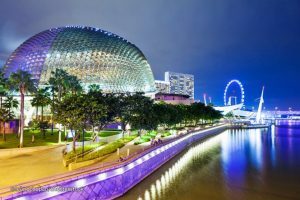 Flower dome and night vision of the city of Singapore are registered sweet memories. Jurong Bird Park is an all-time treat. Bit of showers, we missed some shows but other shows and birds alongside is truly lovely time. With City Tour, exploring Merlion Park nice arrangement in package. River Cruise gives feel of specialty of the location and with past history dwells how river front has transformed in to world’s best places. Everyone has many more things to learn experience, feel and catch memories at this place. Enjoying, taking snaps at Merlion as well as Marina Bay Sands-Specifically Banana Boat in background is worth spending time. Sentosa is lovely packaged place for tourists, rides and attraction- full of fun. Madam Tussaud studio is loved itinerary by my family. 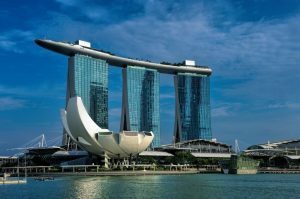 The ultimate experience of Singapore, what we feel is SEA Aquarium and Universal studio. Having a day also one may feel not enough. Really enjoyable and treat to eyes is SEA Aquarium. Kids as well as elders take every bit of it as “there is nothing else” and “no tomorrow”. Getting lost into each and every segment; so meticulously showcased beauty of aqua life is asking for more time; again and again. Universal studios specific packaging for all age groups is really admirable. Various rides, themes and shows are worthy to different age profiles. Light-Action-Camera, The Shrek, Transformers, many rides are good to enjoy. But the adventure show -The Water World is wonderful to see from back of the rows. Street shows are too fantastic. 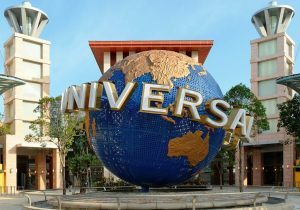 A day at Universal is super fab and with tips from Ms Shruti makes it possible in a day; with own kind of liking about shows and rides. All through Singapore the food, our choice was strict vegetarian, was good with Thomas Cook arrangements. Notable are dinning at The Old Good Days. . In a nutshell, Singapore being the Heaven for Tourists, Thomas Cook alongside, gave us all comfort, convenience and sweetest of the times. Coaches, as usual professional and timely. Our own groups guide Mr David, really thorough with all the details and having him around is value addition. Other group with Thomas Cook also, led by Ms Dipti and local sight-seeing guided by Mr Sin was also very friendly, co-operative. Our own exploring of Little India and Mustafa Centre also Buggies place for souvenirs is recommended as worth visiting. 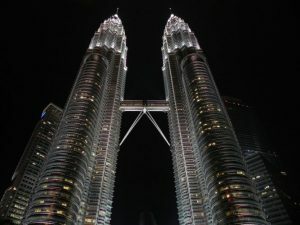 Let us start with endorsing Malaysia is worth visiting as Truly Asia. 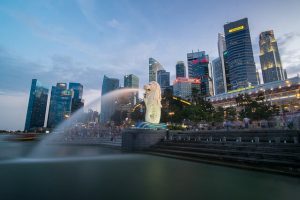 Crossing Singapore via road to Malaysia was smooth and hassle-free; credit goes to both countries emigration and advise/support by Thomas Cook. Coach was good and same all through in Malaysia along with able guide Mr Raj, truly Knowledgeable and truly Malaysian. He made understanding of big country in shortest possible time. Wish Mr Raj all the good luck. On the way to Genting, passing through Cyber Jaya-Putra Jaya and KLC with briefing alongside was good. We felt happy with the experience of Genting. All in all, cable car rides sight-seeing, hill top and the world’s largest hotel with many many entertaining and shopping options. Dining place was truly different and very good. Yes Vegetarians need to be careful but options are available at your hands. Hotel is with basic amenities, but for the very different experience it’s to feel and remember. We experienced and loved the new experience. Coming down from the Genting and reaching Batu Caves for climbing up 272/many small steps was good. Religious importance, healthy people must go up but Monkey menace is something beyond imagination. Many courtesy treats are extended by Thomas Cook in both the countries but after coming down from caves, having original coconut water from Thomas Cook is really timely and appreciable. Kuala Lumpur City (KLC) a lot to learn for us and our many cities. Testimony of countries progressive approach. We loved all locations like HE-King and PM’s palaces, Great Mosque, Freedom Memorial and Clock Tower etc. is highlight along with Petronas but treat is KL tower and eyes witnessing big rising KLC. But Chocolate factory visit makes things much more sweeter with some information about these pure vegetarian chocolates. Thanks Thomas Cook for taking all of us to Chocolate experience. Hotel in KLC, The Renaissance is best in class. Could be asking for more time to spend and stay in Malaysia. May be for next tour. Our group was also really good; everyone enjoyed each other’s company. People across India travelling together and enjoying, shows how India is also emerging as power house in boosting other countries tourism bound economy. Thanks to our group families for everyone feeling comfortable and happy always. We loved, enjoyed the tour as a whole. Cherishing memories are stored and carried back also pictured too many good things. But it is to mention that Thomas Cook, you are DREAM dealers and handling the delicate tasks handsomely. Our complete experience is so delightful and you all are complimented for that. But it is to place that smartest and sweetest execution of tour by Ms Shruti gives all flying grades to Thomas Cook. The lady, she is performing her duty with Thomas Cook but clinically professional, sensible for everyone’s needs, she gives everyone room but keeps disciplined all the time. Master piece from Thomas Cook and we give top class merit to Thomas Cook because of Ms Shruti. We remain thankful and obliged to Ms Shruti for facilitating dreams, cherishing memories and delightful experience. We wish her all the life’s best with best of the health-happiness and all desired success. Happy to Travel with Thomas Cook, sure next time also will travel with you. Thanks to Team Thomas Cook.